It’s been a while since I’ve written a review here, so let’s have a look at something lighthearted to start off: 30-Second Bunnies Theatre. As the screencap will indicate to some of you, I’ve recently started using Netflix, and I’ve been pretty impressed with the selection. One thing that it lacks, though, is an easy way to find shorts. I don’t always have two hours to spend on a movie, but I might like to spend a few minutes watching something when I’ve got a bit of free time. Sadly, I’ve not yet found a way to display only shorts–and probably there’s only a very limited selection of them available, anyway. 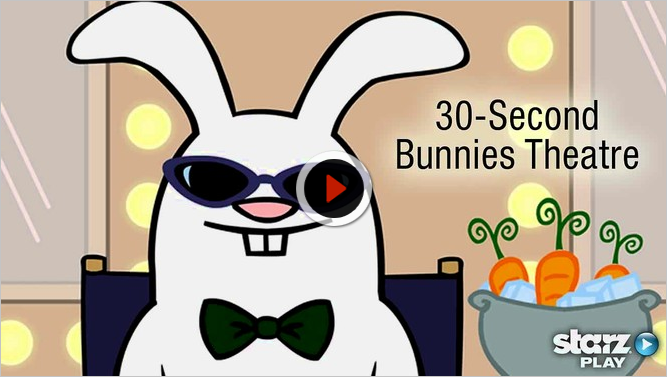 30-Second Bunnies Theatre is a collection of short episodes spoofing movies, with bunnies. Some of them are pretty amusing, though mostly they just seem to summarize the film in question. Fight Club... with bunnies. I approve of this. 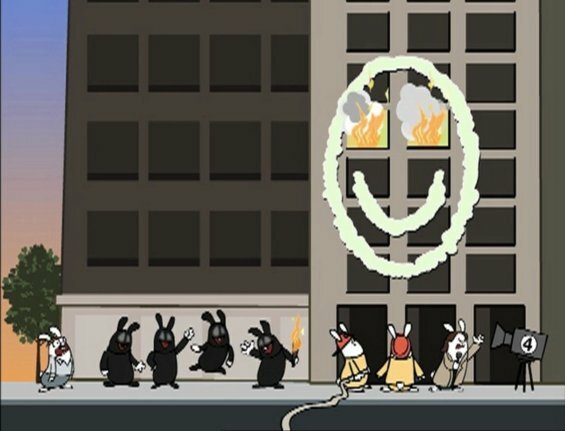 The basic format of each short is pretty simple: take the more memorable scenes/lines from the film, compress each to about a second, and animate it with bunnies. String these together in order, and you have an extremely abbreviated summary of the film. The good news is that the selection of scenes (in those episodes I’ve seen, anyway) is good and the transition to animation and bunnies is usually amusing. The bad news is that the shorts will be incomprehensible if you’ve not seen the original film, and they tend more toward summary than parody. It’s worth checking out the shorts for films you’ve seen, when you’ve got the time, but it’s not worth going out of your way to see them, and I’d certainly not recommend watching the spoofs for any films you haven’t seen.